Here we’ve set up a constantly updating feed of the latest posts from Reddit’s tDCS Community. By clicking on one of the Posts, you’ll be taken to the full post page. 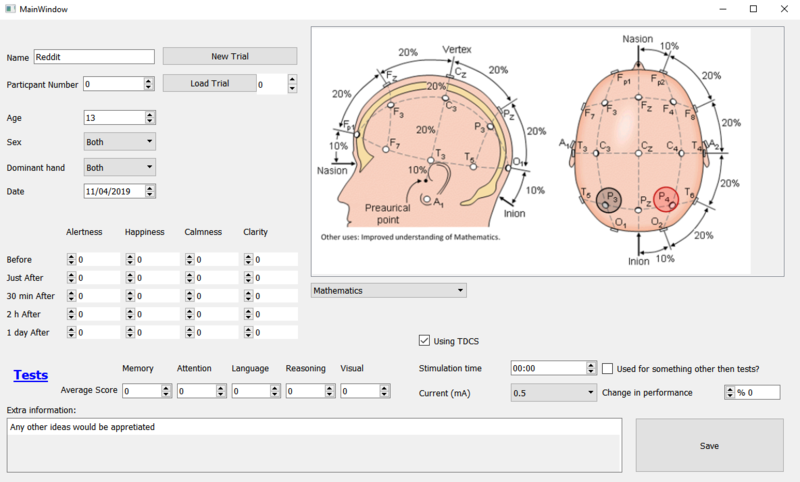 Chronic pain for 4 years – could TDCS help? Placing electrodes over temples has been the best montage for my depression. where did the placed the anode(+) and the cathode(-) in this experiment in order to gain visual improvement?